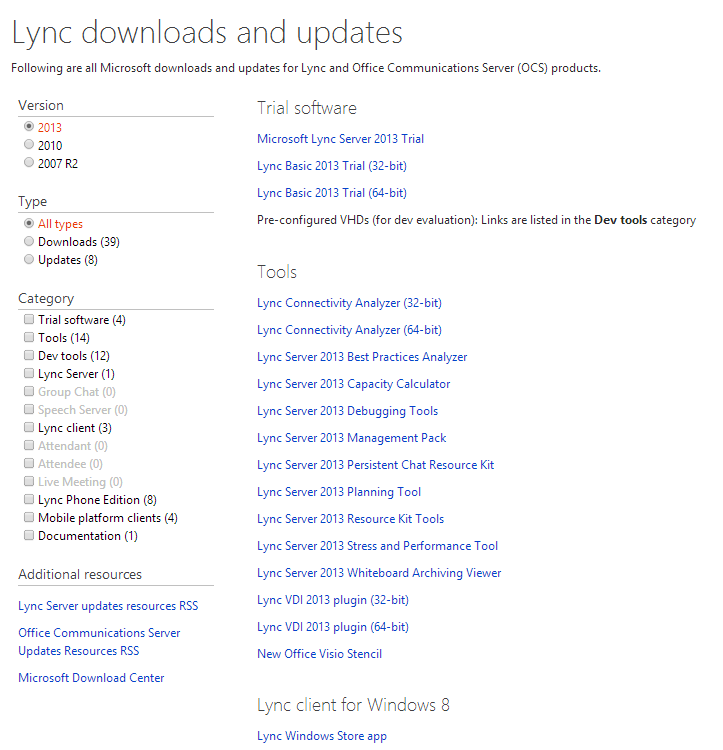 Microsoft updated the resource page for Microsoft Lync product. Now this website looks really great and it’s very practical. On the left side of this website you can find menu where you can specify Lync version, Type of materials and Category. First you can select Microsoft Lync version: 2013, 2010, 2007. As you can see this website is very helpful and this is good position to have it in your bookmarks. Tagged Lync. Bookmark the permalink.